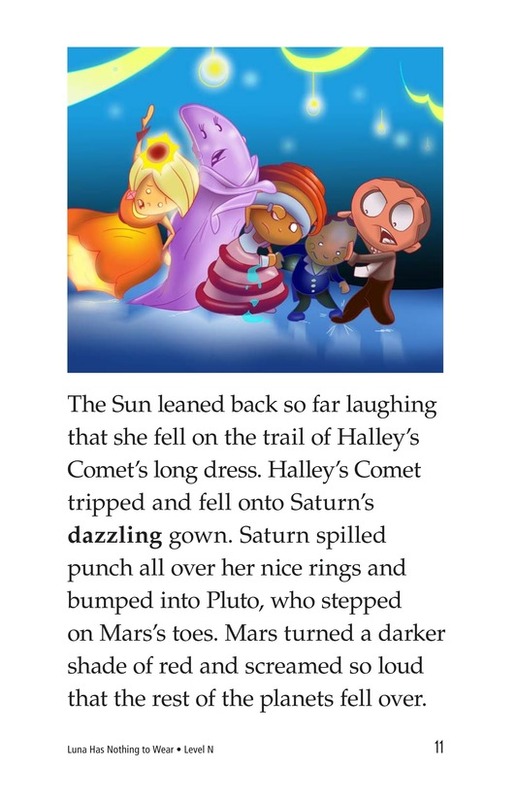 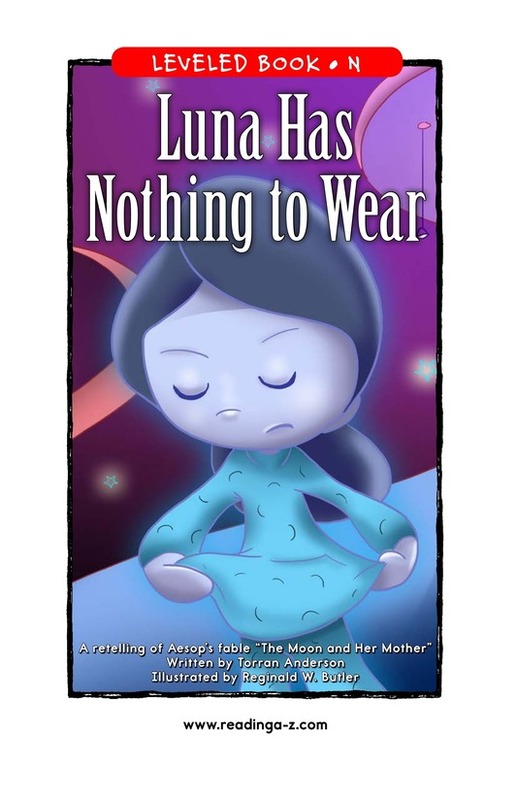 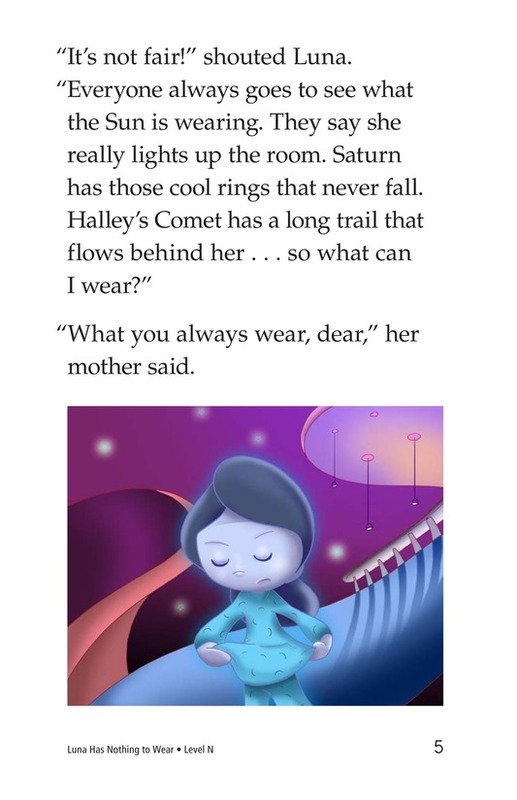 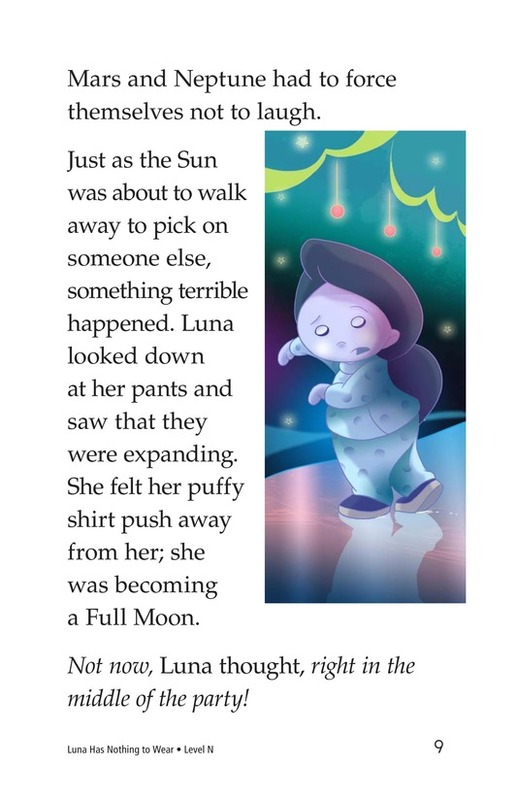 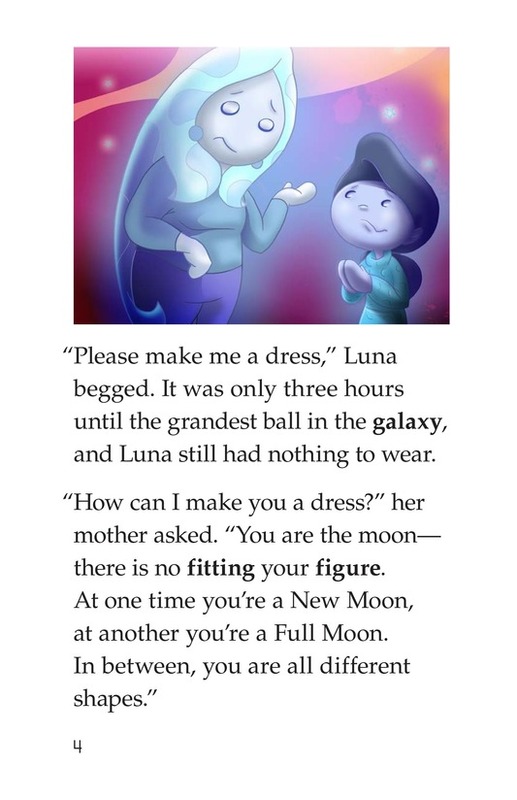 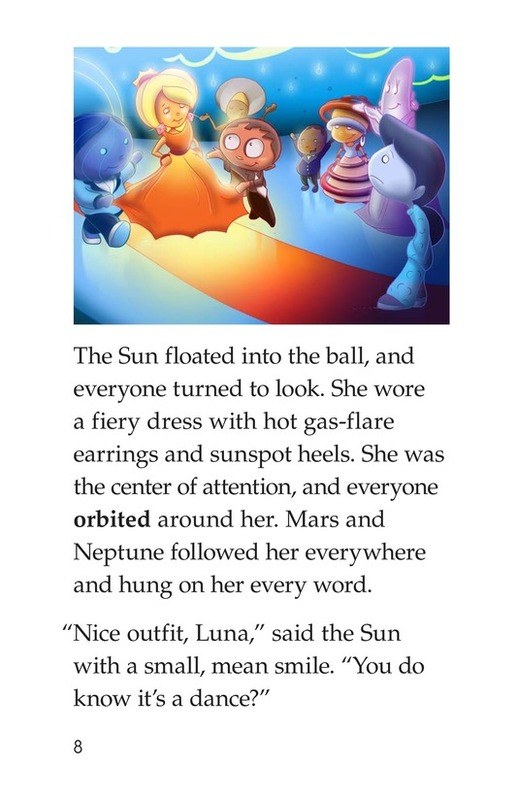 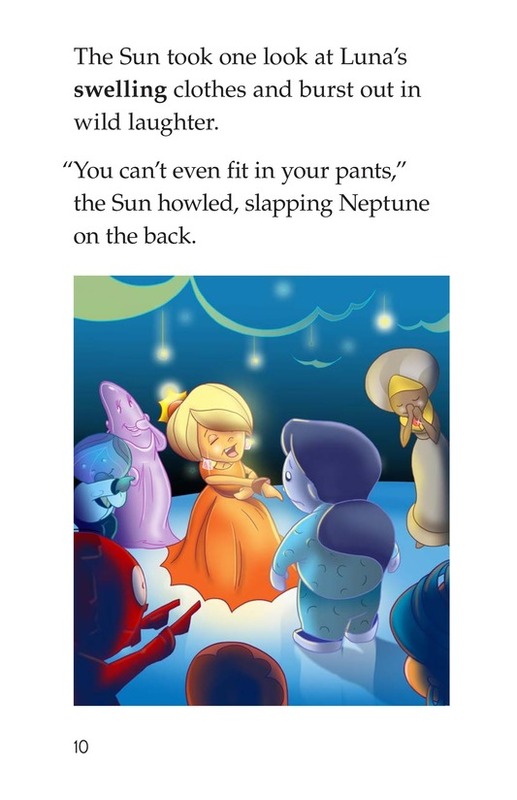 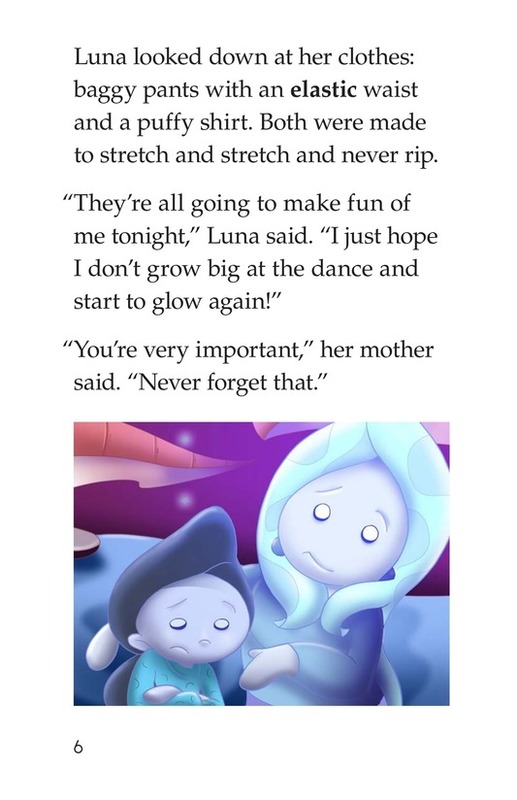 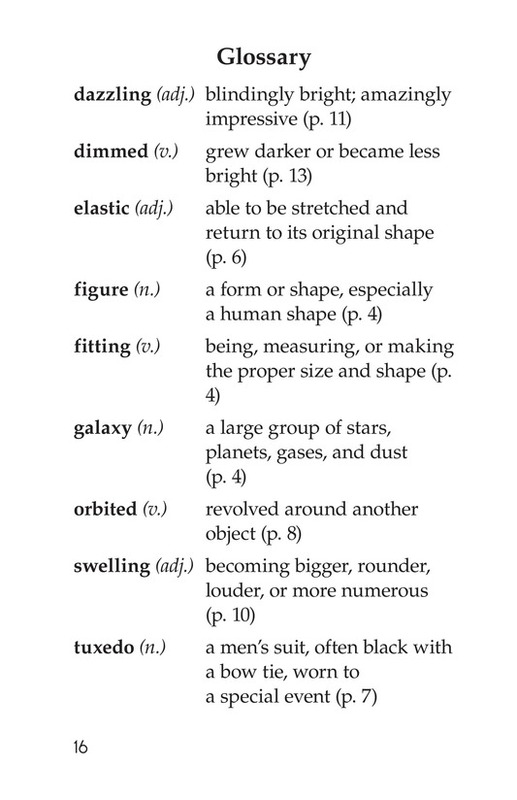 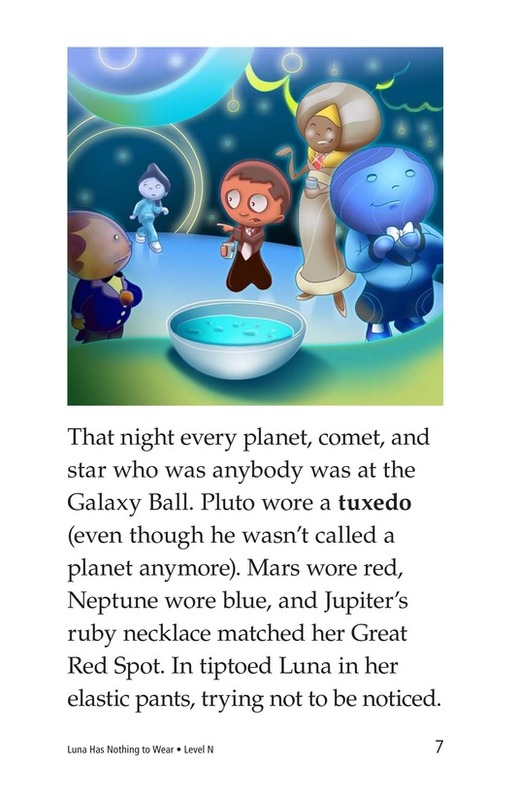 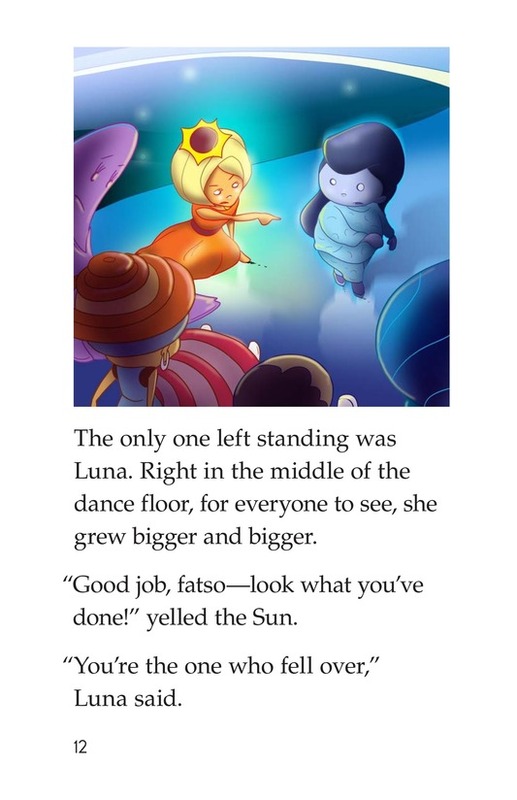 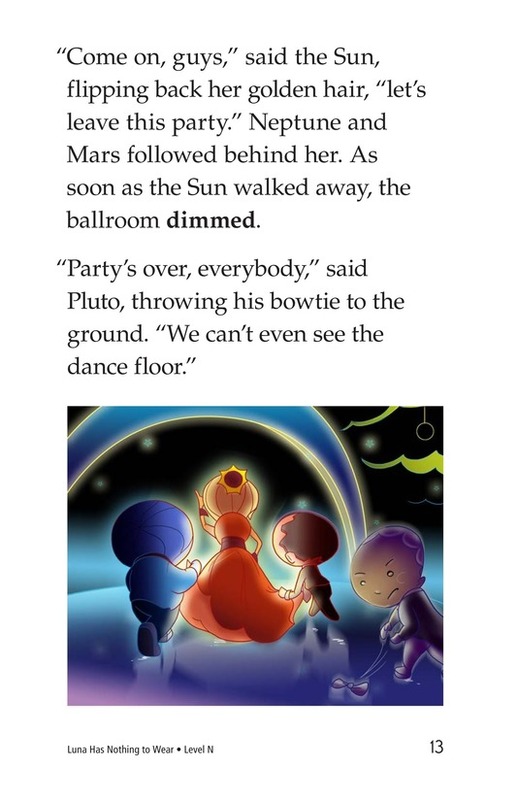 Luna wants a new dress for the galaxy ball, but her mother says it's too hard to fit her changing figure-sometimes she is a New Moon, sometimes a Full Moon, and she's also different shapes in between. 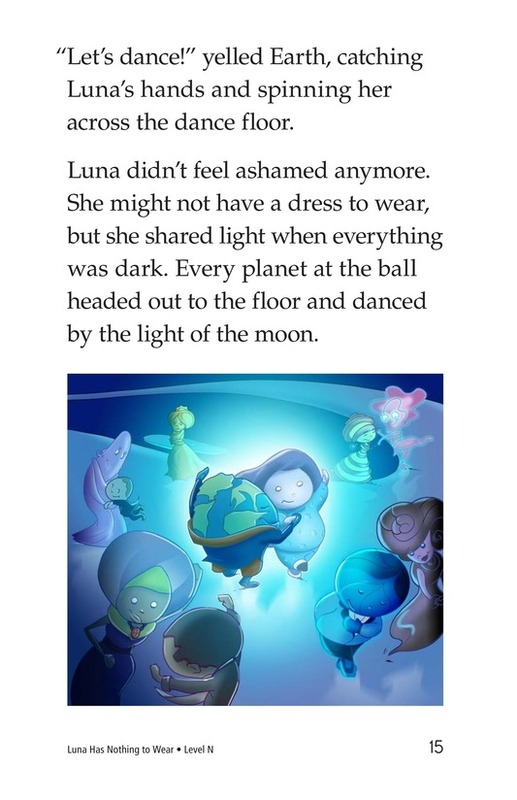 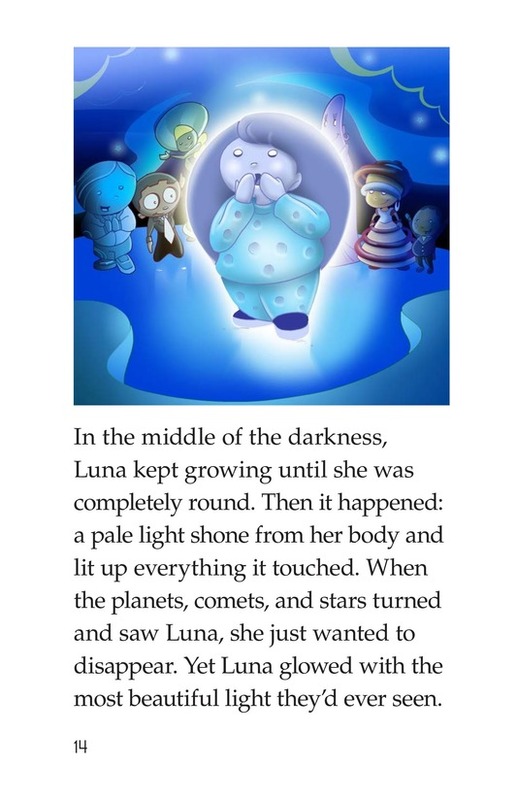 Luna knows she will be teased by the beautiful Sun and planets, but her mother tells her she is very important. 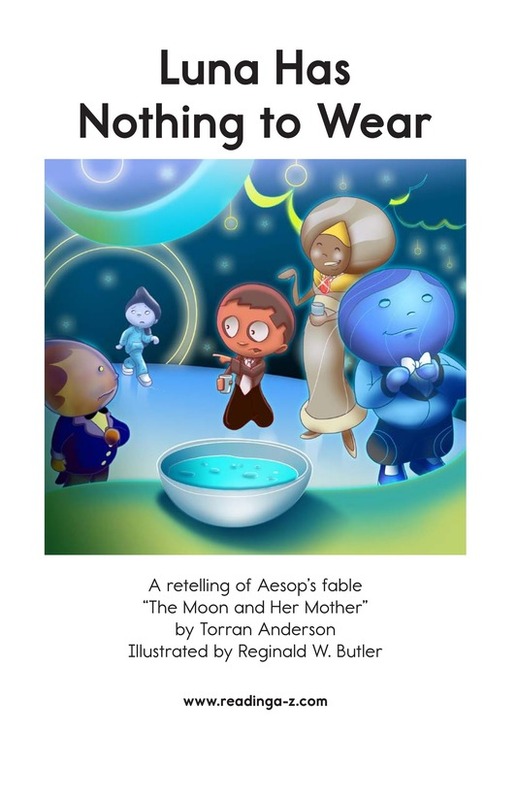 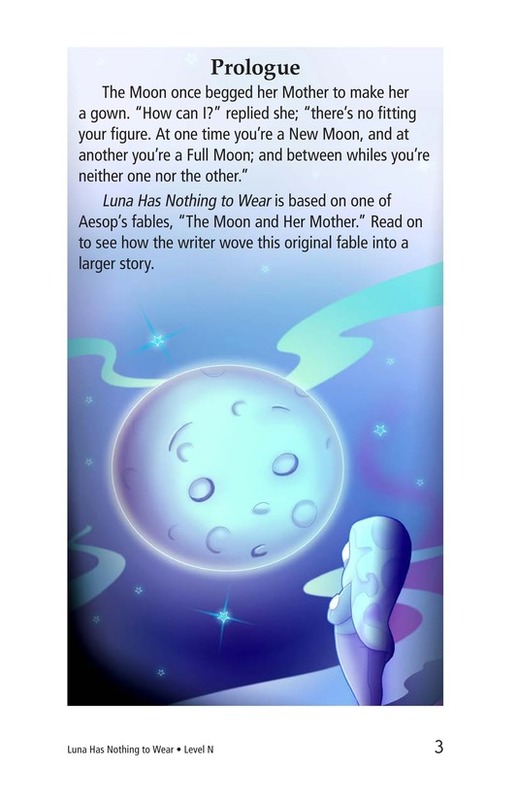 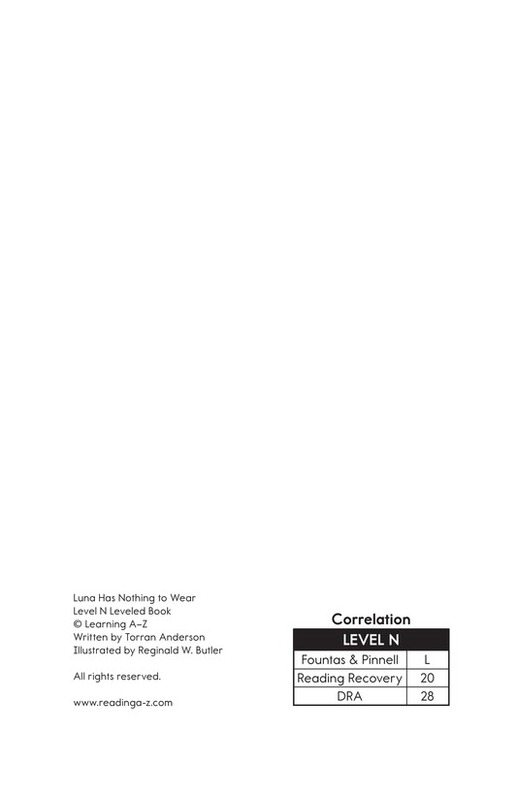 Read to find out what happens in this engaging adaptation of Aesop's fable "The Moon and Her Mother."